2013 Resort is in full swing! I have been following along and I thought that I would share some of my favourite collections so far. 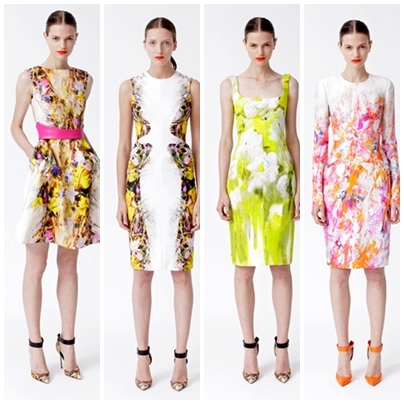 I seem to be particularly drawn to Monique Lhuillier's bright and beautiful collection. I would love to own one of these bright floral dresses. This is a great collection. It's fresh and I love the blue-green. 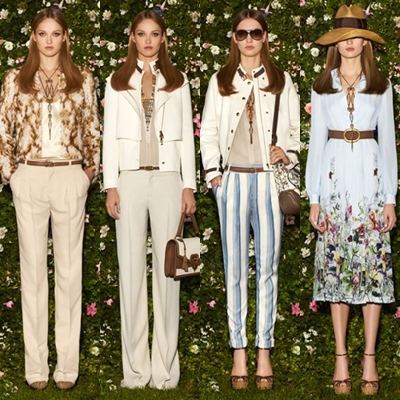 There is also a hint of relaxed glamour in the detailing of some of the tops and jackets. Always for the sophisticate, Oscar de la Renta has created a beautiful collection full of my favourite trend, peplum. 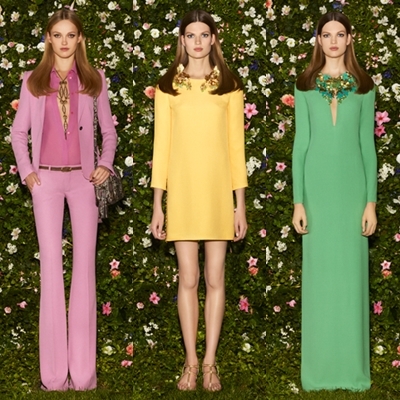 With a hint of 70s this is a very wearable collection. A good trouser jacket combo is always a plus. I love Temperley London. I might be a bit partial as this was my wedding dress designer. The collection is very soft and pin-up-girl-esque.